Two recent fiction books set in and depicting life in India that have become internationally acclaimed are Shantaram and The White Tiger. Shantaram, written by Gregory David Roberts, is a semi-autobiographical fiction book based upon some of Roberts’ real life experiences as a fugitive from an Australian prison who flees to Bombay in the 80’s and has a wide range of experiences there including living in a Bombay slum and a small rural village, joining the Indian mafia, fighting in Afghanistan against the Russians, and acting in Bollywood movies. 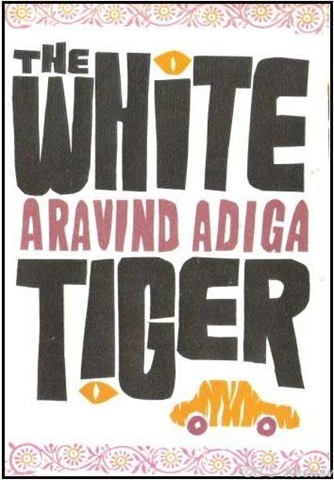 The White Tiger was written by journalist, Aravind Adiga, and tells a fictional story of a driver in modern day India who serves an upper class businessman and ultimately becomes a successful entrepreneur in Bangalore after escaping what he calls life in the Darkness through, what most would say, the worst way possible. Both of these books are well written, very entertaining reads that provide a glimpse of Indian life through a different lens than the typical middle class or happy villager vantage point in most books. 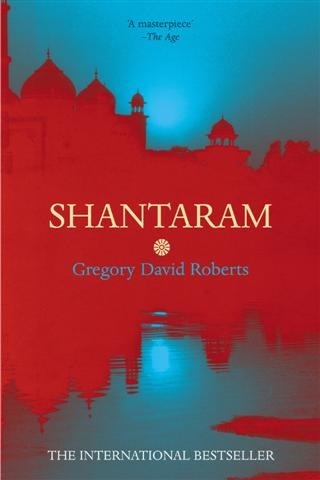 In Shantaram, the protagonist Lin is a foreigner, an Australian, learning about India and the reader learns more about Indlian life through Lin as he becomes immersed within a unique life in India. In The White Tiger, the main character, Balram, is the son of a rickshaw-puller who has secured what most in India for his family status would consider a plum opportunity as a full time driver to the rich and powerful Mr. Ashok. However, Balram considers his life to still be one in the middle of the Darkness, the other side of Indian life as he says which is characterized with little hope and in essence, little freedom, and he offers to the reader a view into the Darkness through his interactions with Mr. Ashok and his family. Roberts goes on to write through Lin’s eyes “I’d grown to like Prabaker. I’d learned to admire his unshakeable optimism. I’d come to depend on the comforting warmth his great smile provided”. The key take away for me here is the way Prabaker is portrayed in this book. Full of optimism and life, depicted as the epitome of goodness who would protect an acquaintance as if she was family during danger, all the while struggling to make it day to day while living in slum conditions. The honesty and goodness of the Indian people is celebrated in Shantaram. “No, it’s because 99.9 per cent of us are caught in the Rooster Coop….The Rooster Coop doesn’t always work with miniscule sums of money. Don’t test your chauffeur with a rupee coin or two—he may well steal that much. But leave a million dollars in front of a servant and he won’t touch a penny. Try it: leave a black bag with a million dollars in a Mumbai taxi. The taxi driver will call the police and return the money by the day’s end. I guarantee it (Whether the police will give it to you or not its another story, sir!). Masters trust their servants with diamonds in this country! It’s true. Every evening on the train out of Surat, where they run the world’s biggest diamond-cutting and –polishing business, the servants of diamond merchants are carrying suitcases full of cut diamonds that they have to give to someone in Mumbai. Why doesn’t that servant take the suitcase full of diamonds? He’s no Gandhi, he’s human, he’s you and me. But he’s in the Rooster Coop. The trustworthiness of servants is the basis of the entire Indian economy. The key take away for me from Adiga’s The White Tiger is the focus on the struggle of life in India. While in Shantaram, there is optimism and much happiness portrayed, that is absent in The White Tiger. Now, the differing backgrounds of the two authors could be important reasons for the differing vantage points—Roberts being a new resident of India, hasn’t seen the struggle for multiple generations, even though he did live in a slum, while Adiga as a journalist in India and abroad, may had more opportunity to see, feel and hear over multiple generations the struggle. Ultimately as a reader, I think it’s important to read about both vantage points. The reality is that both Roberts’ and Adiga’s themes are present in life in India. Adiga’s views are controversial and not often written but creating a more out in the open dialogue is a good thing for India. hmhm… U know what I think… I think that both the characters should have been in one book, their interactions and their character developments would have been heavily interesting…. Have you seen the tamil movie – Anbae Sivam. bth are stuck with each other when the flights get cancelled due to weather…. the way their character develops is simply awesome…. be sure to try it.. I will be waiting to hear ur opinions abt it…..
muthu– thanks for your comment. I’ll have to watch Anbae Sivam. Don’t know much about it, but sounds interesting. Will let you know what I think. chetan– thanks for your comment and visiting the blog. I enjoyed Shantaram quite a bit also– i hear the movie with Johnny Depp and Amitabh is still planned, but continually delayed. Should be a fun movie when it comes out.